This 11 ounce bag of gluten-free, non-GMO, low glycemic granola was $4.99 (on sale for $4.49) at Safeway. It’s loaded with “super grains” including oats, millet, quinoa, amaranth, and buckwheat. Ah, the “Q” word. Loved by so many. Me, not so much. I just do not care for the funky, punky taste of quinoa. Nor do I care for the pronunciation of the word. That’s another story, though. The overall taste of this granola is good. I do not taste any of the toasted coconut mentioned on the front of the package, probably because it is overpowered by the quinoa. Otherwise, I do get the occasional burst of honey flavor. The cereal is very hard, and needs to soak for a while in the yogurt before you eat it unless you want to be crunching on rock-like chunks. My jaw is tired. So, I can see this being a favorite of health-food folks who enjoy that kind of flavor. Me, not so much. It will get me by until I can get back to WalMart and get the most excellent Van’s Natural Foods Cranberry Almond granola for $3.98. RECOMMENDED? Eh. It’s a matter of personal taste. 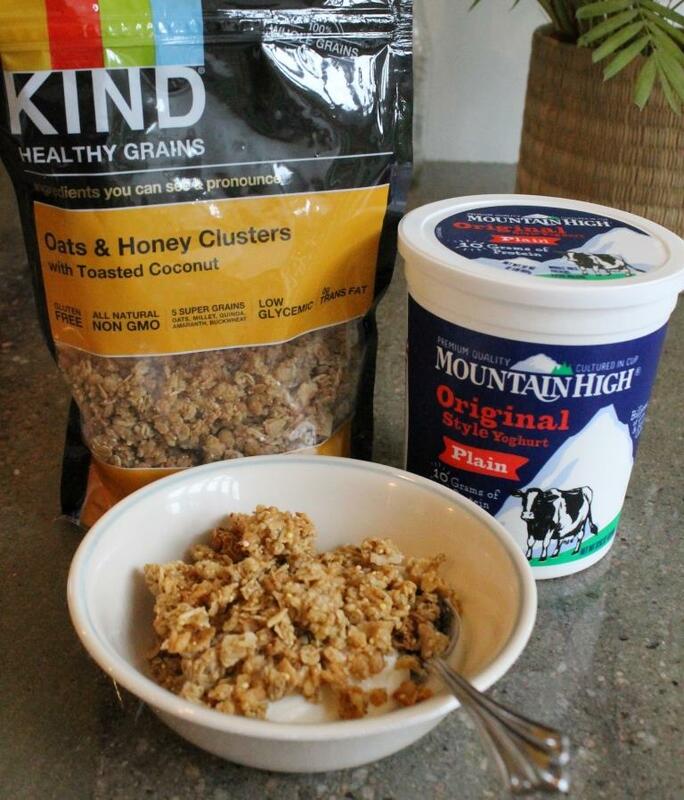 Some #glutenfree #granola by KIND – Meh. You might like it, you might not.